If your products are considered a dangerous good (DG) by either the International Air Transport Association (IATA) or the International Maritime Organization (IMO), Shipping Solutions makes it easy to create the IATA and IMO dangerous goods forms. Store the dangerous goods information with all your other product details in the Shipping Solutions Product Database, so your product information fills in automatically whenever you select your items for a shipment. If you haven't already identified and stored the DG information for your products, Shipping Solutions includes the IATA Database of Dangerous Goods, so you can search by UN Number or Proper Shipping Name. When you find the correct entry, Shipping Solutions automatically fills in the UN Number, Proper Shipping Name, Classification, and Packing Group so you can store it in the database and/or use it for your current shipment. Watch the Creating Dangerous Goods Forms video. 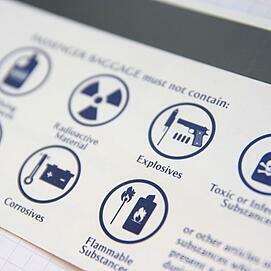 Download the How to Create Dangerous Goods Forms User Guide.